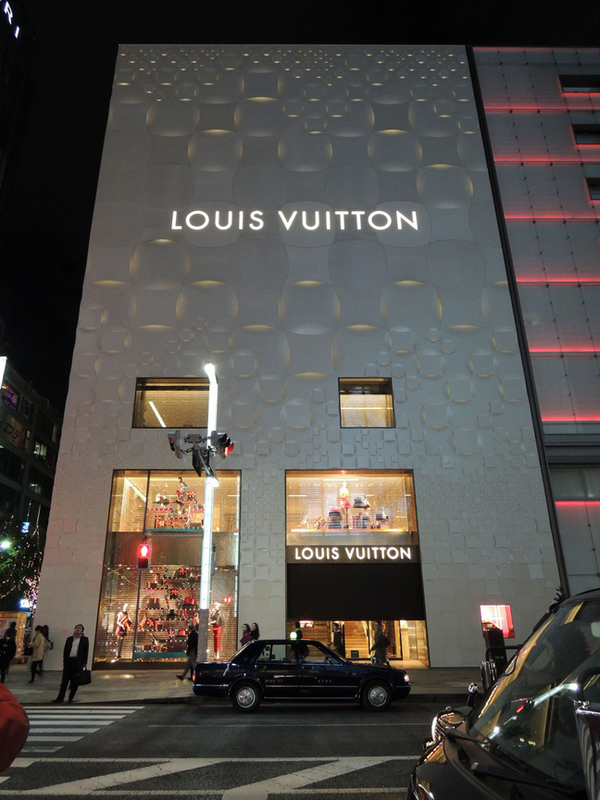 The new façade of Louis Vuitton Matsuya Ginza is inspired by the history of Ginza, the city that used to be known for its art deco design. Ginza was the entrance of Tokyo, adjacent to Shimbashi, from which the very first railway station of Japan stretched to the port and led to the foreign Country. The “modern” atmosphere the forefront Ginza acquired derived from art deco patterns in relation to edo-komon, the pattern of traditional Tokyo and the highly abstract and stylized geometric pattern in repetition. 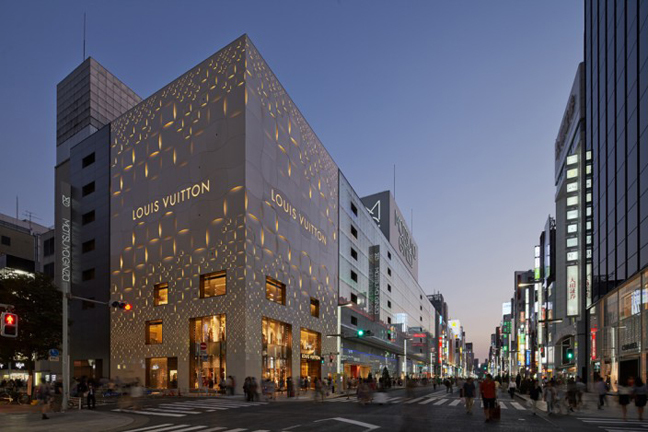 Based on Louis Vuitton’s damier, which also is a repeated geometric pattern, the façade of Louis Vuitton Matsuya Ginza becomes our first softer version of damier, imbued with delicacy and richness that is found in organism. From edo-komon to art deco. Art deco to the soft damier. This is a journey to the history of Ginza. Gentle bulges and dents elaborate the façade of opal beige reliefs. 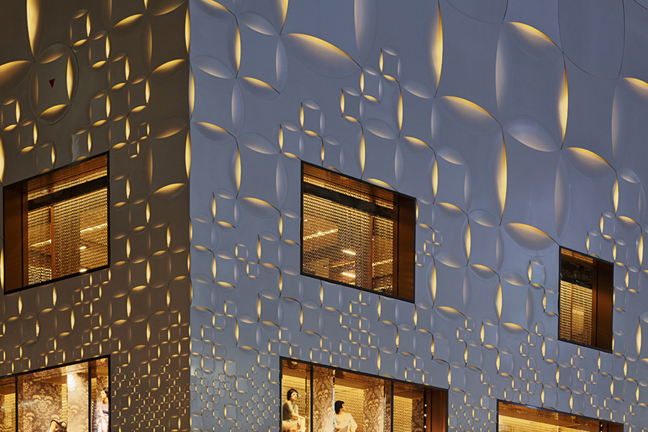 With these pattern, the façade reveals various appearances in sunlight, and also during the night, the LED lights behind the reliefs lit the façade to render another expression reminiscent of Louis Vuitton’s monogram.